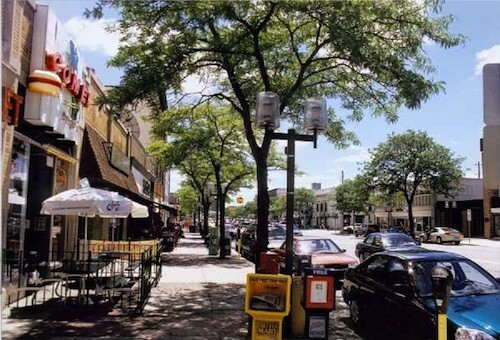 Royal Oak, a city located in the Oakland County of Michigan, has over 28,000 households. People experience frequent rains all year round. As with other parts of the world where it is rainy, a siding can provide that added layer of protection to prevent water and moisture penetration. Siding makes a huge difference. For one, it can beautify your residential or commercial property. More than that, it serves as a barrier to protect it against external threats. Miller’s Home Improvement is a licensed siding Royal Oak Mi construction company that has over 30 years of industry experience. Our team helps beautify homes and buildings by installing a durable and water-tight siding. We offer a wide range of siding services including siding inspection, maintenance, installation, repair, and replacement. We are honest, reliable, and friendly siding specialists that take work seriously. We use only premium products sourced from top-rated manufacturers. Our workers undergo rigorous industry-based training. We guarantee superior results through the use of state-of-the-art equipment and tools. You can expect life-long warranties. We strictly follow manufacturer specifications. You can count on our superb customer service especially during emergency situations. Having Trouble with Your Siding? Are you still confused whether or not to get a siding Royal Oak Mi for your property? Or in need of urgent assistance for an existing siding problem? Worry no more! Siding is an essential exterior element, we know that for sure. Hence, Miller’s Home Improvement prioritizes clients who come to us for all kinds of siding-related requirements. Our siding specialists will be waiting for your call. Dial 248-242-0820 to speak to our team and claim your FREE estimate.